The most recent edition of the Big Blue was seized upon by Southern Expansion to boost their case for an A-League expansion slot, but their new identity raises big questions. A recent report in the Sydney Morning Herald makes for interesting reading, and some of its content is relevant to both the Southern Expansion bid and to A-League expansion more broadly. The crowd of 19,000 fans was quickly used by Southern Expansion as a reason why they should be included in the next round of expansion. Supposedly this was down to the southern region being full of football fanatics who would get behind a team of their own if they had one. But looking more closely, it could also be said that the region has already got well behind Sydney FC as 5000 of the 8500 tickets sold to the general public went to people who live in Sydney’s south. Importantly, that figure doesn’t include tickets sold to members from the southern region, who make up 30 per cent of the club’s membership of 12,400 people. On support from fans, if Southern Expansion were admitted, they could either risk taking fans away from Sydney FC or fail to find fans of their own. This second possibility will also have a lot to do with the club’s identity, which has now become even more complex. The article in the SMH goes on to say that if Southern Expansion were to be successful in their bid, “Australian sport could have its first club representative of an Indigenous nation. The Dharawal country is set to heavily influence the identity of the football club and could even be included in the name of the franchise, should it be granted entry into the competition”. The directors of Southern Expansion see this Indigenous link between the regions as a way to unite fans from the different areas behind the club by including this influence in its name and colours. Bid chairman Morris Iemma confirmed this, saying, “Obviously green in terms of parkland, blue in terms of water and the other being the third really defining characteristic – our boundaries almost entirely match the Dharawal nation’s boundaries”. While the colours might be all right, his point that the team’s boundaries almost entirely match the Dharawal nation’s boundaries is debatable. Sutherland and Wollongong might both be within the Dharawal boundaries, but to the south you hit the Shoalhaven River, with Bomaderry on the north side being in Dharawal country and Nowra on the south side being Yuin. Not only that, but to the west there’s Macarthur, which is actually part of Dharawal country but is excluded from Southern Expansion’s designated catchment area. But where things get really interesting is on the northern boundary of Dharawal country, where you hit the St George River separating Sutherland from St George. Oddly enough, St George isn’t Dharawal but the country of the Eora, whose territory ranges from the St George River in the south to the Hawkesbury River in the north and out towards Parramatta in the west. So here we have an expansion bid that wants to play matches in three different stadiums in three different regions separated by a greater distance than that between Moore Park and Parramatta. Then, to unite these areas, they look towards an Indigenous nation whose borders include Macarthur, unlike Southern Expansion, while St George, which is within Southern Expansion’s catchment, isn’t part of Dharawal country at all but is actually Eora, which is in fact Sydney. In any case, even if the boundaries overlapped perfectly, the First Nations people’s sense of clan identification often overrode more general loyalties to their own nations – Indigenous nations were just that: nations. Clan groups in Sutherland and Wollongong would have seen each other as part of the same nation but not the same community, like Londoners and Mancunians or Parisians and Marseillais. Combining Sutherland in Dharawal with St George in Eora would be like combining Normandy with Sussex. Who does Morris Iemma think he is? William the Conqueror? Criticism aside, if Southern Expansion stuck to Dharawal country and left out St George, it might have some integrity. Then, if Sydney FC adopted Eora as an official nickname, it could set up a Dreamtime Derby with Dharawal. 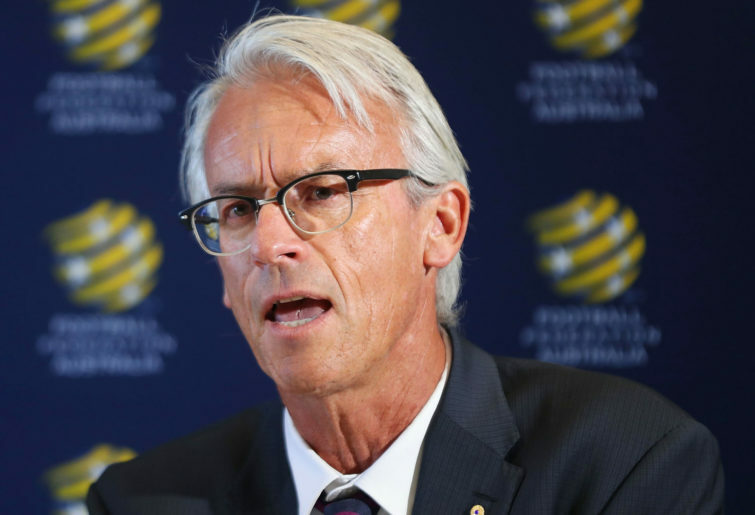 Broadcasters might like the sound of that, as might the FFA. It’s also worth noting at this point that the Dharawal FC concept is only a recent development and likely wasn’t part of the original planning process when it came to defining the club’s borders. Likewise, although this announcement may look a bit cynical at first, Craig Foster, who is part of the bid team, is a strong advocate of Indigenous football, and it’s possible that he has been making a genuine heartfelt push for this behind the scenes. But it’s a bit risky to make an announcement like this so close to the day of the decision by FFA. Southern Expansion’s morphing into Dharawal FC brings back the old chestnuts of club identity and the debate over adding new derbies or expanding into new regions. As the late Mike Cockerill once wrote, “If there is one clear lesson to emerge from the A-League’s brief history, it’s that a sense of community is everything”. He then made the point that this lesson was being ignored, adding, “Commercial interest – fed by market research and focus groups – looks to be the driving force. Hence we have a push to create artificial franchises representing nebulous ‘corridors’ in the major cities simply because the suits believe this will deliver the cash cows they are looking for”. It’s hard to see Southern Expansion succeeding when many fans there already support Sydney FC. It’d be even harder in Macarthur, which has half the number of registered players. It’s even harder again to see new teams working in Melbourne when Victoria has only about a third of the number of registered players as there are in New South Wales despite Melbourne having a similar population to Sydney. Places like Canberra, Tasmania, Wollongong and even the Gold Coast might be the best options for expansion. But the suits at Deloitte and Fox will likely conclude otherwise when all they can see is metrics.